Just a quick, casual outfit post today that I wore while taking a road trip to Charlotte over the weekend. These bright colors + longer days have me dreaming of warmer weather! P.S. - Don't forget to enter the two giveaways below! 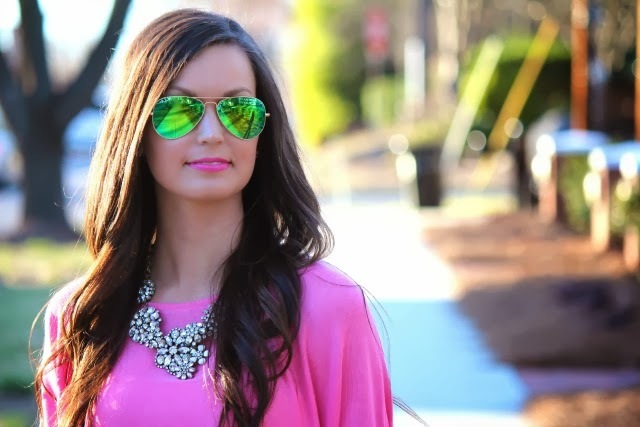 I love this simple but colorful look for spring!! 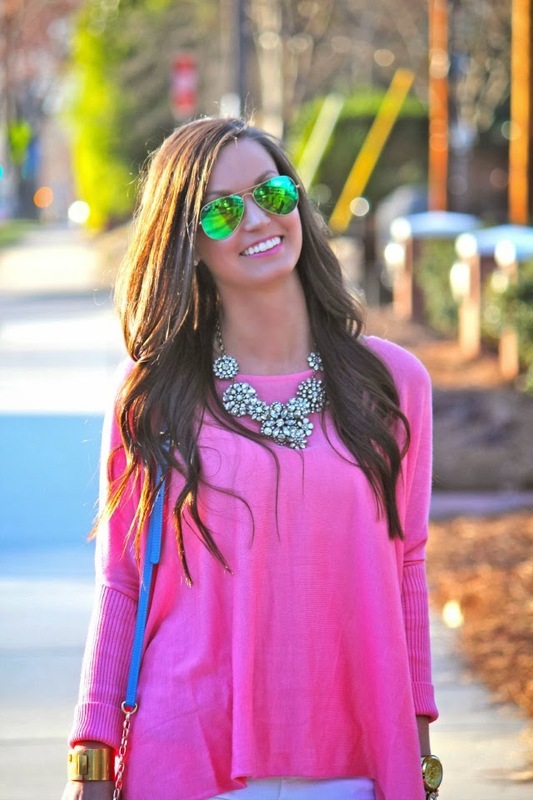 Just stumbled across your blog via Caitlin at Southern Curls and Pearls and I absolutely love your style! I love that necklace! I've been shopping around trying to find one like that. 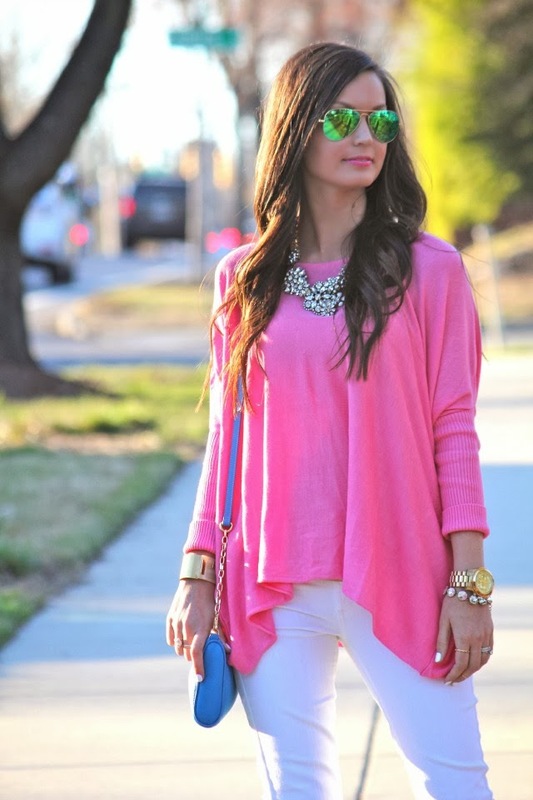 This pink is perfect! Cute! That pink is beautiful!! Love it! 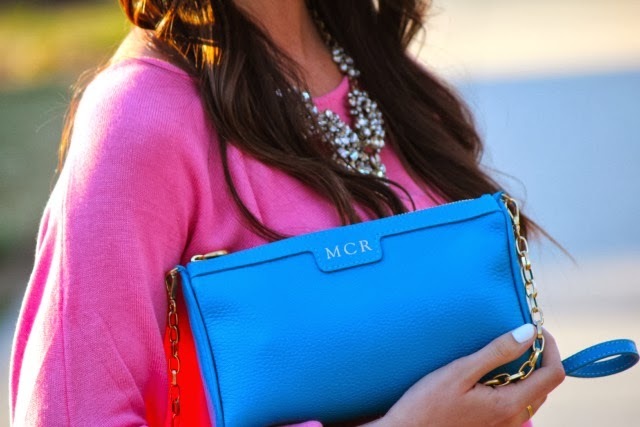 Love the colours....the bag is super cute!